Tom Ferguson is the Vice President of Programming for Imagine H2O, a nonprofit organization empowering people to deploy and develop innovation to solve water challenges globally. Imagine H2O’s accelerator program picks 12 startup companies for over 200 applications from 36 countries. The chosen accelerator companies receive customer validation, industry visibility, investor access and mentorship opportunities. 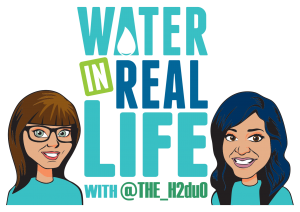 Communication is incredibly important to the vitality of the water industry in today’s environment. It’s ok to have fun with water. How a little bit of irreverence, showing you have personality and can have fun, can be a differentiating factor that allows you to cut through the noise. A colorful elevator pitch for the value of water. Check out Imagine H2O and learn about the twelve companies currently in the accelerator program that are truly changing the world of water. If you have the opportunity, consider attending the Imagine H2O Innovation Forum and Gala in 2019. Sign up to receive updates here.